The Mobile Network Operator (MNO) is being put under increasing pressure in a market where the Internet of Things (IoT) and Over The Top (OTT) communications are coming to the fore. 5G is fundamental to the success of these emerging technologies, and many MNOs are pioneering new ways of delivering 5G technology to boost business and usher in a more connected era. Collaboration with telecoms companies help them do this, providing robust fibre backhaul to allow for the capacity and service demands of 5G. Flexible, reliable, fast – 5G is set to be the linchpin for a quicker, more efficient way of working, travelling and consuming. It’s predicted to take virtual and augmented reality, high definition video streaming and the IoT to new levels, turning anticipated technologies like self-driving cars and smart buildings into part of everyday life. For MNOs this is an opportunity to expand their businesses, meet demand from consumers, stay relevant and remain competitive. Afterall, MNOs have been at the forefront of every generation of connectivity – from enabling consumers to make their first mobile phone call in the 1980s, to sending text and picture messages, and in recent years, sharing data, video streaming and gaming. But the race to become 5G-ready feels like a much bigger leap. This is the technology that, by 2035, could underpin up to £9.3 trillion worth of goods and services globally. In the retail sector, for example, 5G will power leaps forward in digital signage, virtual reality and shopper recognition, while in healthcare, it will power mainstream deployment of AI and help improve IoT devices in the sector for real-time patient monitoring. With Ofcom’s prediction that 5G will be available for use by 2020 in the UK, the pressure is on to find a way to make it work. Like all ground-breaking innovations, this technology is not without its challenges. And when you think about the undertaking involved in delivering 5G to consumers, 2020 seems uncomfortably near. 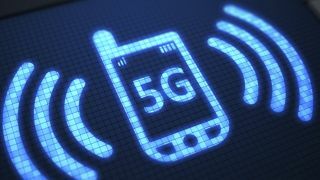 One of the main issues is infrastructure – 5G requires a lot of it, including high-speed fibre connections, mobile masts and data spectrum bands. Take London as an example. According to a recent report from London First, the city poses some serious complexities to 5G deployment, including tall buildings, narrow streets and secret tunnels. This city is also clad in a lot of glass and steel that can block mobile signal – a problem which has supressed London’s 4G indoor premises coverage to date. The technical challenge is complicated by the problem of coordination; each of London’s 32 boroughs has a different process when it comes to planning permission, and some don’t consider digital connectivity as a strategic priority. This report estimates that 85% of the cost of digital infrastructure roll-out in London will be spent on civil costs such as planning regulations. It’s clear, the road to 5G-readiness will also require a lot of collaboration within local authorities to find the best way to deliver it. One solution to the technological problem is to draw on existing local infrastructure including underground structures and transport networks. This approach could lead to faster deployment and lower costs compared to building the infrastructure from the ground up. Some operators, including Three and O2, have already made strides with this method, partnering with connectivity providers to make use of existing high-capacity fibre-rings. Some of the fibre-ring lies beneath the city, within the Thames Water waste water network – otherwise known as the sewer system. Developed in the late 19th Century, these sewers were a Victorian innovation that transformed the city’s poor sanitation and marked a turnaround in public health improvements. Centuries since its introduction, this historic underground network is being used to innovate further by connecting 100 mobile masts to fibre-optic cable that will run through the sewer system. This means that both Three and O2 can operate their own Central London Area network, improve their 4G offering and use spare fibre ducts to launch future initiatives in the city. 5G is as much of a game-changer as the automobile or the telephone; it will change the way we work, travel, communicate, and spend our time. If MNOs continue to invest in 5G and find a way to put it in the hands of the world, this will likely be the engine that powers the fourth industrial revolution – Industry 4.0 – one where everything is connected, processed and digitised. But it’s clear there are still obstacles on the road to 5G, including technology, infrastructure, and coordination. Ofcom’s 2020 prediction piles on the pressure for rapid deployment, but operators should be aware that the benefits of Industry 4.0 are undermined without ubiquitous connectivity. It’s essential all stakeholders work together to install the appropriate foundations and ensure 5G is the transformative experience many expect.